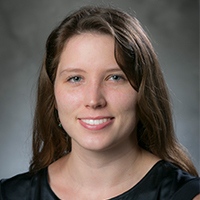 Sara Mason, policy associate at Duke University's Nicholas Institute for Environmental Policy Solutions, will speak during the session "Quantifying the Health Benefits of Nature, Part 2" on Wednesday, December 5, at the 2018 A Community on Ecosystem Services Conference (ACES). Mason will discuss Sanitation for and by Nature. Wednesday, December 5, 2018 - 5:10 p.m. to 5:30 p.m.